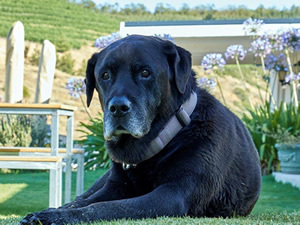 in February 2018, we said goodbye to Jake, Top Dog, Black Dog and legend after whom the Black Dog Malbec was named. 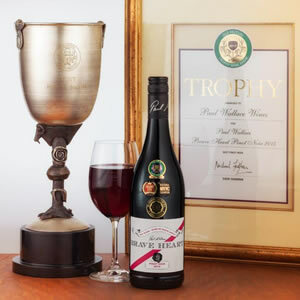 Honoured recipient of the 2017 Old Mutual Trophy Wine Show trophy for the Best Pinot Noir. This wine also received a Gold Medal in the 2017 Six Nations Wine Competition, as well as Best in Class at Top 100 SA Wines competition. The Sommeliers Association was the first to recognise the outstanding quality of this wine, and included in their Elegant and Classy category of preferred wines.